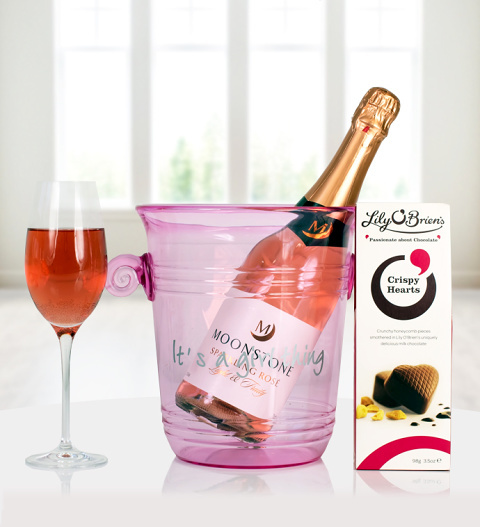 Our Pink Bubbly gift is a splendid gift with a delicious bottle of Moonstone Sparkling Rose 75cl, ice bucket and a delicious box of Lily O'Briens chocolates. Perfect for the ladies the gift is available for UK next day delivery. Cheers!